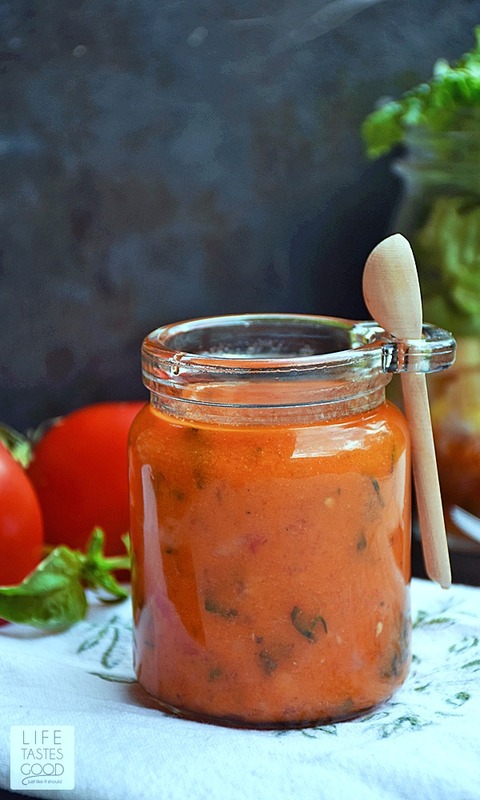 Tomato Vinaigrette Dressing is a light and tangy dressing to coat just about any green salad deliciously. 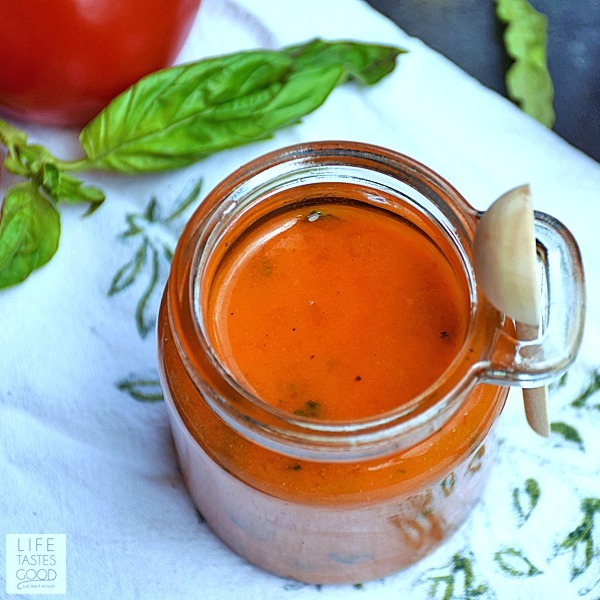 Loaded with fresh herbs and tomatoes in a simple oil and vinegar emulsion, this vinaigrette will have you craving salads! 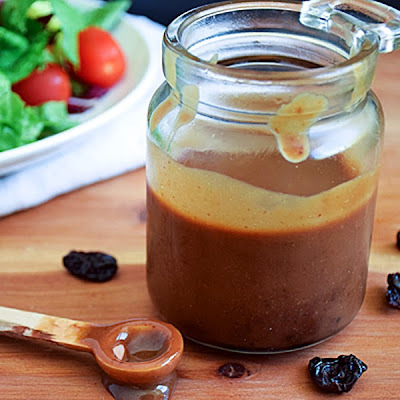 Do you know how easy it is to make homemade salad dressing? Super easy! It only takes a few minutes to whip up a dressing, so there's really no need to blow your hard-earned dollars on expensive store-bought dressings that are full of extra stuff you don't need. All that extra stuff gives them a funky taste too. At least it does for me. Since I've been making fresh, homemade dressings it is really a challenge to find an acceptable store-bought one, so I just don't bother anymore. 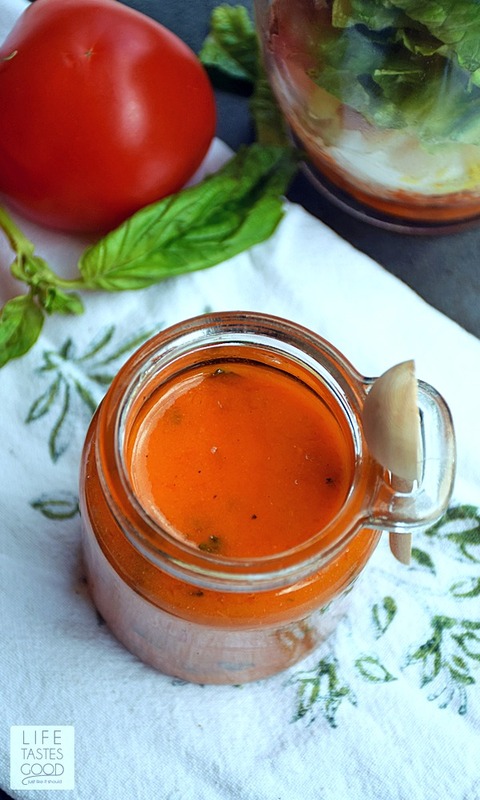 A simple vinaigrette recipe is an emulsion of 2 to 3 parts oil to 1 part vinegar. This ratio will ensure a smooth and thick end result, which is exactly what I want in my salad dressings. 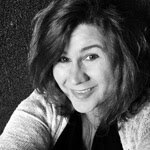 (I prefer the 2 to 1 ratio for my taste) Now, if I just mix oil and vinegar together they will separate faster than I can get the salad on my plate! So how do we get those crazy kids to stay together? We need an emulsifier to stabilize our emulsion. An emulsion is a mixture of liquids that normally don't mix such as oil and water. An emulsifier, such as mustard, mayonnaise, or egg yolk, will help suspend the oil droplets in the vinegar, thus keeping the mixture together so we can enjoy perfectly dressed salads. In this dressing I used mustard for the tangy taste it adds. 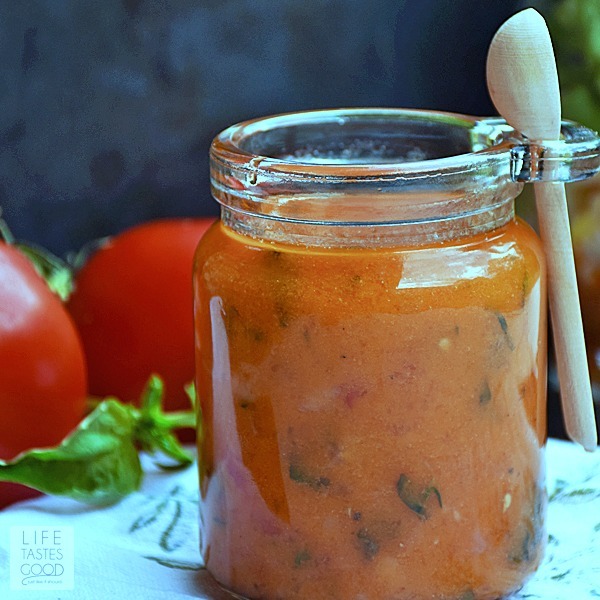 The added tang mingles nicely with the sweetness of the basil and shallots to create a well balanced dressing I just adore! I also like to mix all the ingredients in my food processor. This helps to keep the dressing together even longer, however, if you want to just put all the ingredients into a jar and shake it up, baby, yeah! That will work too. You'll just want to make sure you shake it before each use. I made this dressing specifically to use in my Cobb Salad in a Jar recipe that is coming soon to the blog, so be on the lookout! 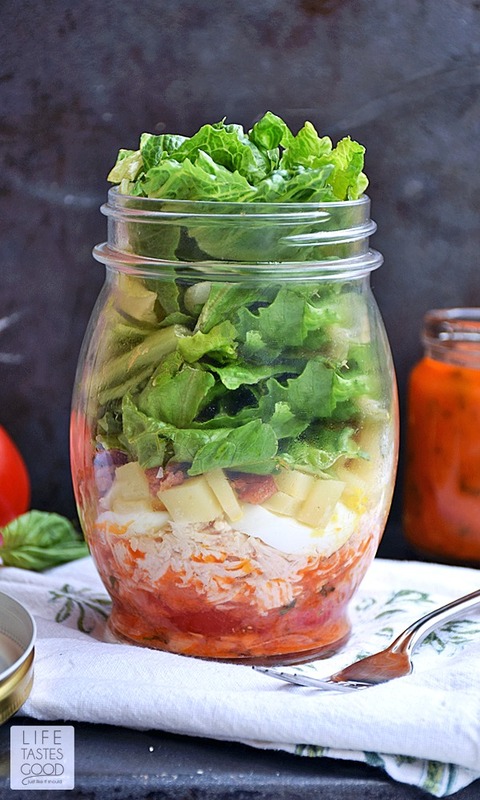 This salad is delicious and perfect for taking to work, on a picnic, and even traveling! I just love the convenience of having a ready-to-eat salad for a quick lunch or dinner when I'm way to busy to eat! Pour 1/4 cup red wine vinegar and 2 tablespoons Pinot Noir into the bowl of a food processor. Add 1 teaspoon Dijon mustard, 1 teaspoon salt, 1 teaspoon sugar, and 1/2 teaspoon pepper. Pulse until combined and sugar is dissolved. That only takes about 30 seconds. Add 1 tablespoon freshly minced garlic, 1/2 tablespoon thyme, 1 tablespoon chopped basil, 2 tablespoons shallots, and 1 cup tomatoes to the mixture. Pulse to mix everything together nicely. I like this dressing a little chunky, but pulverize it if you prefer :) Give it a taste and adjust the seasonings as needed. Pour into a cute jar and refrigerate several hours for best flavor! This dressing is so tasty you probably won't need to worry about how long it keeps, but it will be fine refrigerated for up to a week. Enjoy! I have my fingers crossed that our tomatoes plants will yield as much as last year. This dressing is an amazing way to use them. I'll take fresh salad dressing over the purchased bottles every time! This would be delicious over Cobb Salad. I'll look for that recipe too. It's my husband's favorite!